Our readers would know of Tellychakkar.com reporting about Mansi Shrivastava, Samiksha Bhatnagar, Sucheta Khanna, Prasad Barve and Ashwin Mushran being a part of Peterson Hill. As we know, Rohit Roy plays the lead role. Khan’s role in Raja Hindustani. Sushil Parashar Pratham will play Rohit Roy’s dad and Pratham Shetty will be his son. Garima Productions’ is coming up with a comedy show Chuk Chuk based on the narrative and happenings in a particular railway platform. Readers would remember, Tellychakkar.com had exclusively reported about Mansi Shrivastava and Samiksha Bhatnagar being part of the show. 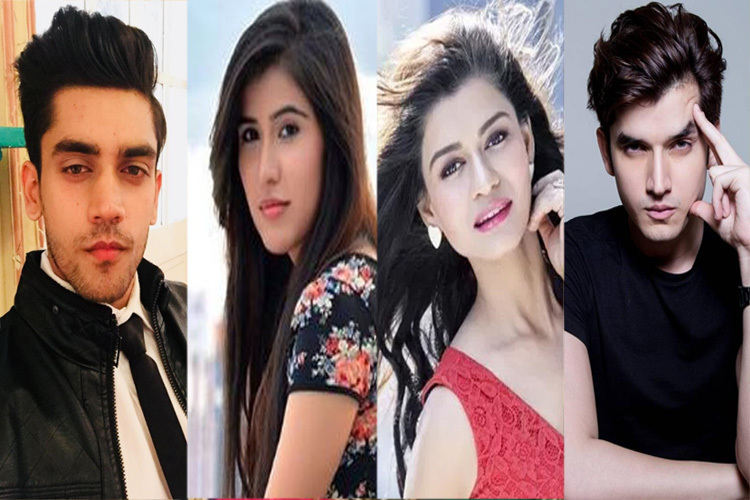 Now, we have learnt that Sucheta Khanna (Lapataganj), Ashwin Mushran (Lage Raho Munna Bhai) and Prasad Barve (Dill Mill Gayye) have been roped in for the project. The main protagonist Rohit Roy will play station master and Sucheta will portray his wife. Prasad will play a thief and Ashwin has a very important role in the show. We called Sucheta but she was busy and asked us to call later. Even Prasad and Ashwin remained unavailable to comment. The show will mostly launch in the first week of January (2015). Mansi Shrivastava, the face of Do Dil Bandhe Ek Dori Se, will soon be back on screen. She's been signed by Ashwini Dheer's Garima Productions for SAB TV's upcoming show, titled Chuk Chuk. As per the title, the story will be based on the narrative and happenings in a particular railway platform. Earlier, Puja Bose (Bannerjee) was supposed to play the female lead on the show. But now, Mansi has been roped in to play the interesting character of Shatabdi. Also, talented actress Samiksha Bhatnagar, who was last seen in Colors' Uttaran, will play a central role. She will play the hot and happening ticket collector who would look for her Mr. Perfect will all the exceptional qualities. As reported in media, Rohit Roy has been roped in to play the male protagonist in the show. He will be seen donning the hat of a station master. We tried contacting Mansi and Samiksha but did not get through to them.